We can accommodate large groups either in our bar area or on our outdoor terrace. Please call the restaurant to make a reservation for parties of 9 or more. The entire restaurant can be rented to seat up to 54 people. The Waterway is a stylish bar and restaurant in Maida Vale, West London. 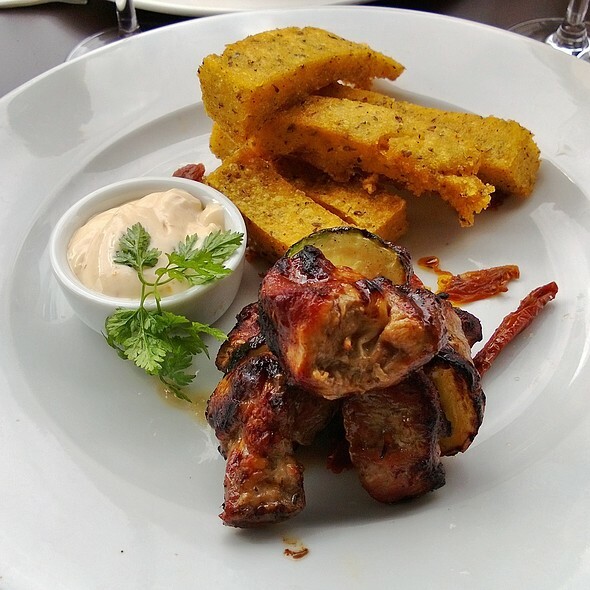 Our menu is predominantly French and Modern European and focuses on delivering classic brasserie dishes. We also have a large, south-facing outdoor terrace that is open throughout the summer period. 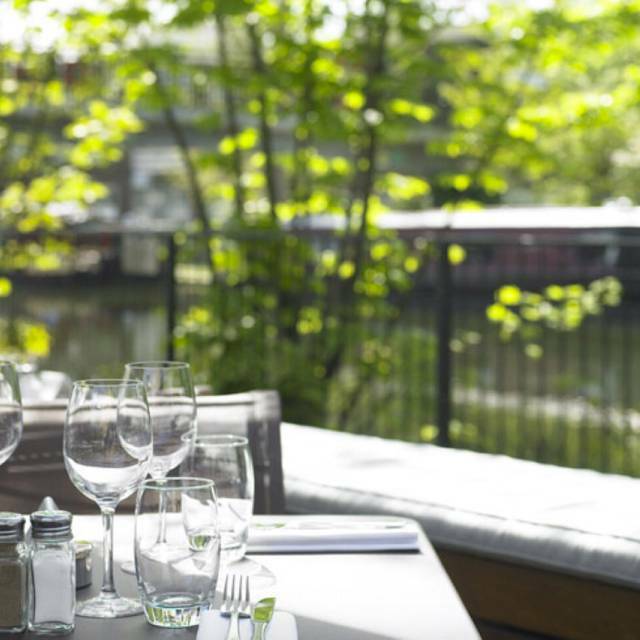 On the terrace, we offer a light grill menu for an alfresco dining experience by the Grand Union Canal. In addition, our wine list focuses on French wines but incorporates some great New World wines. Firstly, this restaurant really needs to make it clear that the entire outdoor dining area permits smoking. In fact, it is encouraged, with ashtrays placed on tables. It is also very unclear when booking that a table 'overlooking the canal' is actually outside. I absolutely abide smoking, so, upon being seated next to two tables of people chain smoking, I asked to be moved inside. I was initially told there was no space, however, when stressing how unacceptable it was to not even have smoking and non-smoking areas outside (I mean, we even had this back in 2005 - come on!) a table was miraculously found. The food was hugely overpriced for what it was - £18.50 for a pretty average roast and not enough gravy. My mum ordered the lamb and was told there was no mint sauce. We were going to order dessert, but the staff took so long to return to us, we gave up - and promptly asked for the 12.5% service charge to be removed from the bill. It's a real shame because this restaurant boasts a lovely setting, but I wouldn't return and would encourage friends to steer clear - too much lets it down. Great service as always (I’m a local) but chef got my steak order wrong so had to wait for another one by which time my friend had finished her meal. Nice environment. The food at the Waterway was lovely and the people who served were very friendly and helpful. My only complaint was that I had booked a table online for a birthday celebration and we were just allocated a table on arrival. I was told they do not reserve tables but then saw that a table had been reserved for another party. A table with a view would have made the occasion even more special but the meal was enjoyable regardless. The staff at this restaurant are true professionals. Warm welcome and great service with a smile. Everything on the menu makes it hard to choose! The food is beautifully presented and delicious, and the price is right. Very pleasant lunch here as usual. Lovely view. Good menu. Friendly helpful staff..
Food is ok but customer service is clearly not a priority. Now but having taken the offer, I felt the food was not to the standard as it usually is. I had the ribs and the meat was dry and chewy, which isn’t how it usually is. Nice place! Staff very attentive. They were changing our ashtray after every cigarette and I really appreciated it. Food quality amazing, also the way it was served in the plate. I highly recommend it and I will definitely come back! Despite having booked weeks in advance was given a table squashed in between other 2. I asked to change table which was done and appreciated. Very noisy and not easy to talk across table. 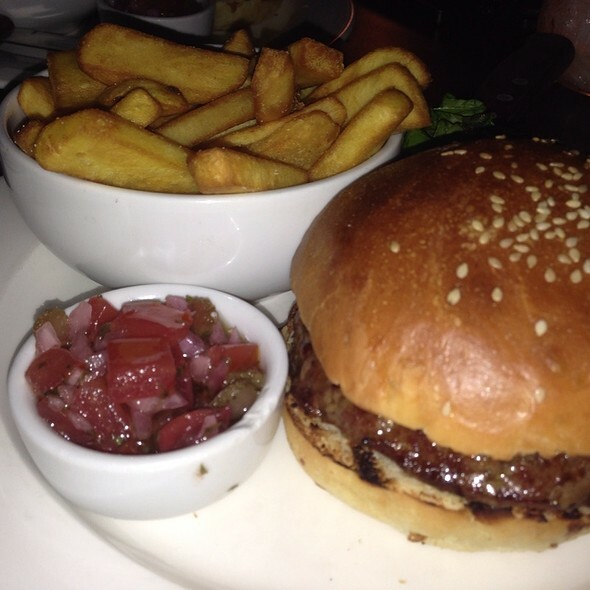 Food was ok.
Every time we are in London we have a lunch at Waterway for its great hamburgers and very nice atmosphere. Went with friends, it was very loud but good atmosphere inside. The food and cocktails were very good. Enjoyed the scallops, crab and duck starters. Nice atmosphere in a relaxed environment. Food was of good quality but I was expecting it to be tasting better, especially given the elevated prices. Staff was helpful and polite but not very attentive. The Waterway has been in my favorites' list for a long time. I have enjoyed the place in all seasons, for lunch and dinners as well as weekends brunch. 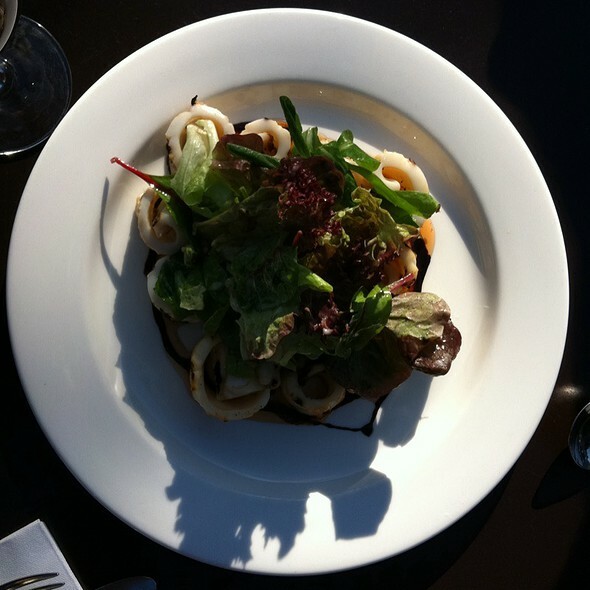 You can tailor your meal experience to the moment and the occasion, the staff offers a good service. You pay for the quality and the experience. It was a beautiful autumn day. They kept our table warm while we were late. From then on it was poor service and I undercooked chicken! Good and ambiance is great but service is terrible as you have to wait forever to be seen and order and then the food takes forever to come. Calm and relaxed environment tucked onto the canal side - shame about the hedge blocking the view from the restaurant and otherwise small windows - its part of the local style so no drama - and they have worked a good balance here. Staff happy and attentive and food to a good standard. Would be glad to head back. I was underwhelmed by the food as I had high expectations. 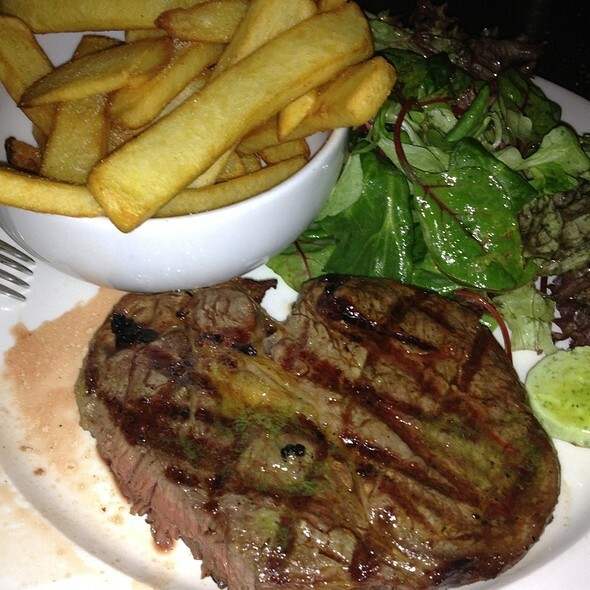 My steak was cold when it came out which wasn't pleasant. Great location overlooking the canal.On a changeable Sunday in September we were met by a real flame fire indoors but as the afternoon cleared, the terrace outside was quickly prepared for use. Staff were helpful and attentive. Lovely spot when sunny. Good G&Ts. Best pub in the area. The Waterway is our regular hang out from special occasions to afternoon hangouts. The staff are great and always accommodating. The food and wine list are just right! To top it all, the view, you can't just get enough of! Great Restaurant by the canal, canal view if sitting outside, went sunday evening - ran out of a few items on the menu, but overall great service. - had booked a table but it took 30 mins to be seated. - waited 1.5hrs to get our main course. - forgot our drinks orders twice and left us with dirty dishes (from the starters) in front of us for 45 minutes. - had to get up from the table several times to get the attention of waiting staff. This lunch was booked for a special occasion, which was completely ruined. Great location for a summer lunch with a really good buzzy atmosphere. Service was very friendly and efficient and although we had a problem with out starters this was resolved very quickly and without any fuss. Overall the food, service and location were all very good. Delicious food, nice wine, and good service. We had a great meal. Food average at best. Not considered good value for money at 350 for 4 people. Great location in the summer. Slow service. Mediocre. food.Asked to clear the table after 2 hours. The tables next door stayed for an extra hour plus. ( I was drinking at the bar, and witnessed this) and they were not moved. Outstanding friendly service from the second we approached the girl to ask for a table. Despite being very early for our reservation she sorted out a table on the terrace for us in seconds. What a welcome! Delicious food. Friendly efficient waiting staff. Great views of the canal. Pretty much perfect. Thanks!! We came here for an early lunch so we had to choice of brunch menu and lunch menu. The food that the adults ordered was really good but we had children with us and ordered the pasta with tomato and basil sauce. There was no sign of any basil and the tomato sauce tasted like it was straight out of a tin without any added ingredients. It was bland and the kids didn’t like it which says a lot for kids who would always eat pasta! We had a few cocktails which were amazing! All in all I would go back but probably not with the kids. 12.5% service charge when we had different waitresses for everything and the food was very average. The place was ridiculously busy and the menu was very limited. Delightful al fresco dining beside Regent's Canal. Charming service, delicious food, lovely location. Perfect for a warm Summer's day. If you dine when the weather is less than perfect there are overhead heaters. A neighborhood gem. This was my first visit and the venue and staff were excellent. The Maitre D solved a problematic situation with alfresco booking with good grace and professionalism, quickly so what could gave ruined the evening was not an issue. The staff were great and the waiter Pietro gave us a great wine choice. My girlfriend loved the venue and evening and we will definitely come back. Poor table layout planning affected us significantly. Our table was placed inside an area that had been reserved for a birthday party (not related to us). We were not part of the party, but we could barely speak to each other due to the loud and lively conversations right next to us. We were literally against a wall, surrounded by people that we didn’t know. We had to leave after the first (watery) drink, even though we had reserved the table for longer. That’s what’s bothering me. I reserved in advance and also called on the day. The table they gave us was more like a makeshift in an improvised place. Awful experience. Not coming back, not recommending.